The Chron has a partial overview of the cattle call in CD14. [State Rep. Randy] Weber, 58, is one of nine Republicans vying for the party’s nomination in Paul’s congressional district, which includes Lake Jackson, where the 76-year-old Paul delivered hundreds of babies as an obstetrician, sends out holiday cookbooks with his wife Carol, and goes jogging or biking along Oyster Creek Drive. In 2008, when Paul ran unsuccessfully for president, he also simultaneously ran for and was easily re-elected to Congress. This year, he only made a failed bid for the White House — and hasn’t endorsed anyone in a crowded GOP field to take his House seat. If no candidate gets more than 50 percent of the party’s vote during Texas’ May 29 primary, a runoff will be held July 31. “It’s sort of like being the coach after Bear Bryant,” said Jay Old, a 49-year-old Beaumont defense attorney and another Republican contender, referring to the University of Alabama legend. While there’s no reliable polling, the top Republican choices are thought to be Weber, Old, former Texas State University System regent Michael Truncale and Felicia Harris, a city council member from Pearland. Paul represented the district for 24 years but not consecutively. He retired from Congress in 1984 and ran for president as a Libertarian four years later, before winning the Republican nomination to return to the House in 1997. 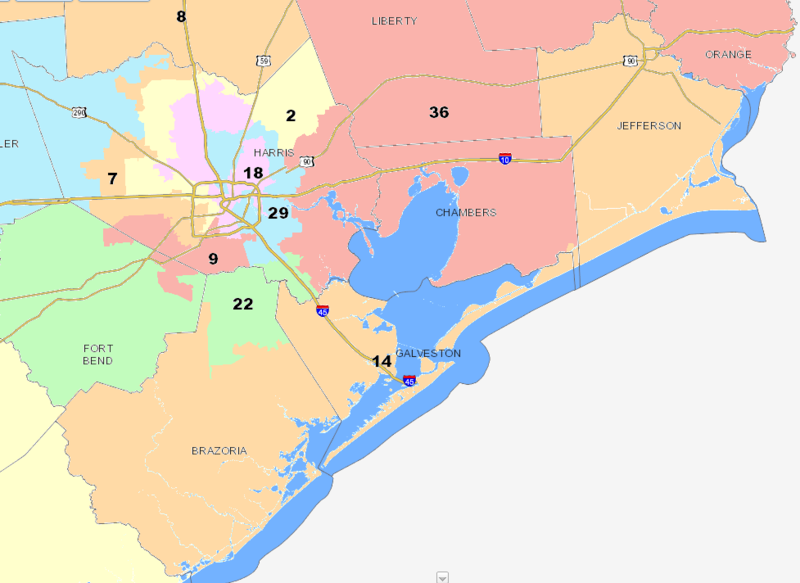 Also, redistricting means the new district stretches along the Gulf Coast to encompass cities like Beaumont while skirting the suburbs south of Houston. That could be good news for the likely Democratic nominee in the general election in November, former U.S. Rep. Nick Lampson. He served four terms in the House but was defeated in 2004. Lampson says about 80 percent of the geographic area in the district Paul is leaving behind now overlaps with his old district. I say “partial overview” because the two quoted Republicans and the implicitly quoted Lampson are the only candidates mentioned more than in passing in the story. I don’t know if the Chron had trouble reaching some of these campaigns or if they just decided there were too many candidates to bother, but it’s still weird. I mean, if Truncale and Harris are two of the top contenders, don’t you owe it to the reader to say something about them? I don’t get it. I imagine the Weber and Old campaigns are a lot happier with this story than the others are. I would like to know what policy differences these leading candidates reflect. What issue priorities are different? This and the recent SBOE analysis are disappointing, to say the least.